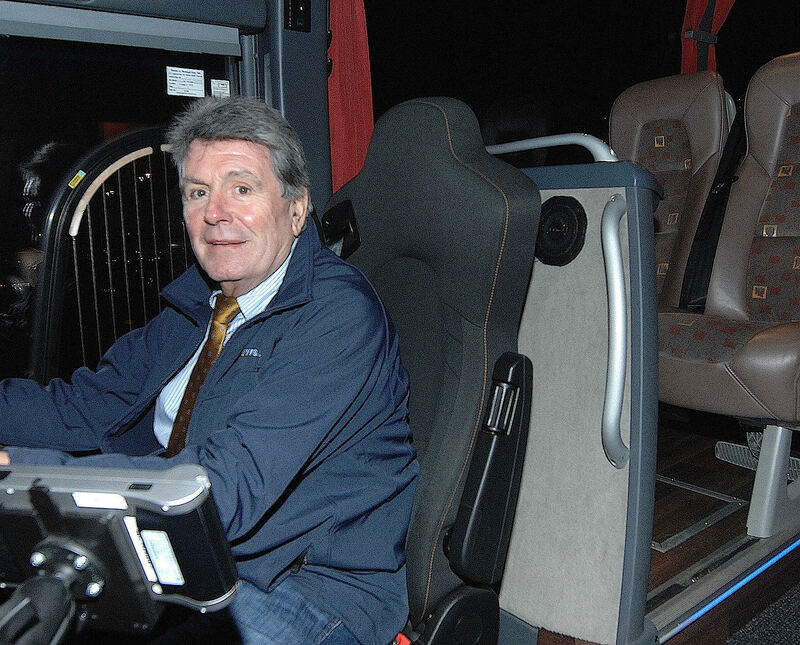 "It's nice to hear people saying they're not getting the bus, they're getting the Matthews"
Matthews Coach Hire was founded in 1995, by Paddy & Mary Matthews. Matthews Tours offer one of Ireland’s biggest fleets with 31 late-model coaches, two midi-coaches, two minibusses and a corporate limousine. The friendly people, and the layout of the town. It is not a hilly town and you can walk around it easily. To go off with my grandson Mason on the bikes. Some days we go to Cuchulain's Castle, and on others, you may find us in the park playing on the swings. We also love going down to the docks and watching the fishing and cargo boats loading and unloading. The traffic light sequencing. I would love to see a lot more flashing amber lights because at a lot of junctions you are left sitting waiting for a long time for the lights to change at off-peak times when you could make safe progress. Too many closed-up premises and derelict buildings that could be utilized. A lot of cyclists have no lights on their bikes in the early mornings and late evenings when people tend to be out walking. I am going to Lapland for a trip of a lifetime with my grandson and looking forward to a great Matthews family Christmas. Generous, friendly, good-natured and cheerful. They are fantastic for getting behind the town and any initiatives. My favourite place is to head down Legion Avenue and the Old Newry Road out to the Ballymac Roundabout and back in on the bypass. Then it is through the Fitness Park and home. We should get rid of some of the overgrown trees in the town centre and install a recreation area. My father used to drive a horse and cart for CIE and my holidays were spent traveling around the town with him delivering goods from the train to all the bars and shops. Wonderful memories of a great and busy time for the town. The Bartender in Park Street. They have hundreds of different kinds of beers and because of that, it attracts people from all over, who are living and working in our diverse town. It is lovely to be there and meet so many people from different cultures. Why do you think Dundalk people use the Matthews Coach service so much? Because we are fast, affordable, comfortable and reliable. We are especially happy that we have enabled so many students to live at home rather than having to pay Dublin rents. It is nice to hear people saying that they are not getting the bus, they are getting the Matthews. What's been the key to your success as a company? We have built our business on customer service, by listening very closely to our customers and responding to their needs.